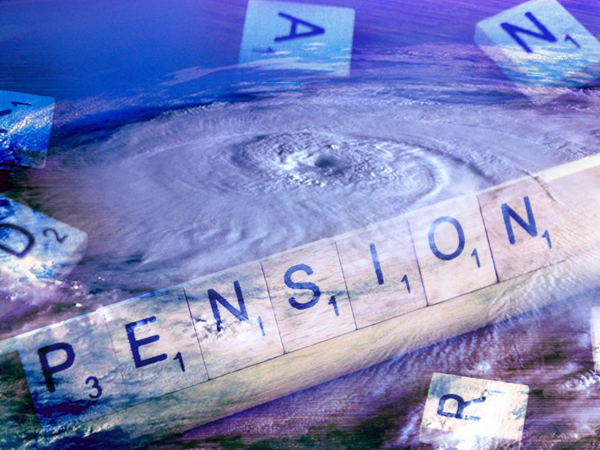 PENSION 'HURRICANE HARVEY' Hits Illinois – Could Soon Spread Across the Entire U.S.
And now it’s hitting Harvey, Illinois, a town of 25,000, in the form of a major pension crisis that includes laying off 40% of its firefighters. State lawmakers have no other choice but to enact legislation to allow local units of government to file for bankruptcy. The state must loosen its reins over local governments and allow them to reform their finances, otherwise everyone suffers and Illinois will continue to lead the nation in outbound residents seeking to escape a confiscatory government. In a city with 20% unemployment, property tax rates over 5%, and home values declining by 80% over the last decade, you would think solving economic problems would be high on its list. It might be, but greed and incompetence from the city government seem to have higher priority… at the cost of Harvey residents. Harvey is a small town, but if the behavior of city and State officials “handling” this pension crisis gives any clue… the whole State’s pension system might be in jeopardy. The reality is Harvey might be only the tip of the iceberg. A growing number of Illinois cities and villages are approaching Harvey’s dire situation. More than half of Illinois’ 651 municipal public safety funds are funded at rates below 60 percent, Dabrowski pointed out in a recent blog post. Since the State of Illinois doesn’t allow cities to file bankruptcy on pension debt, each fund has to be “paid.” So Harvey has to cough up tax revenue to pay down their pension debt to the State. How many city employees will have to suffer before the State of Illinois realizes that they need to change policy, and that pensions are an outdated retirement vehicle? Based on the reaction so far, public employees in Illinois should be worried. Anyone in the State with a public pension plan should be terrified. We’ve covered pension problems before, including those in other states, but in 2018 the whole facade might just come crumbling down. A study of the 649 different pension systems around the United States found systematic problems with the assumptions underlying many trusts, which is now coming to a head. This will have profound effects on citizens of all 50 states, as pension promises go unfulfilled and pressures build on governments to increase taxes. In short, a pension crisis is in the works. The “crisis in the works” from that report is unfolding in 2018. Harvey and New Jersey are just the tip of the iceberg. In fact, only one state in the U.S. (Wisconsin) ran a pension surplus. 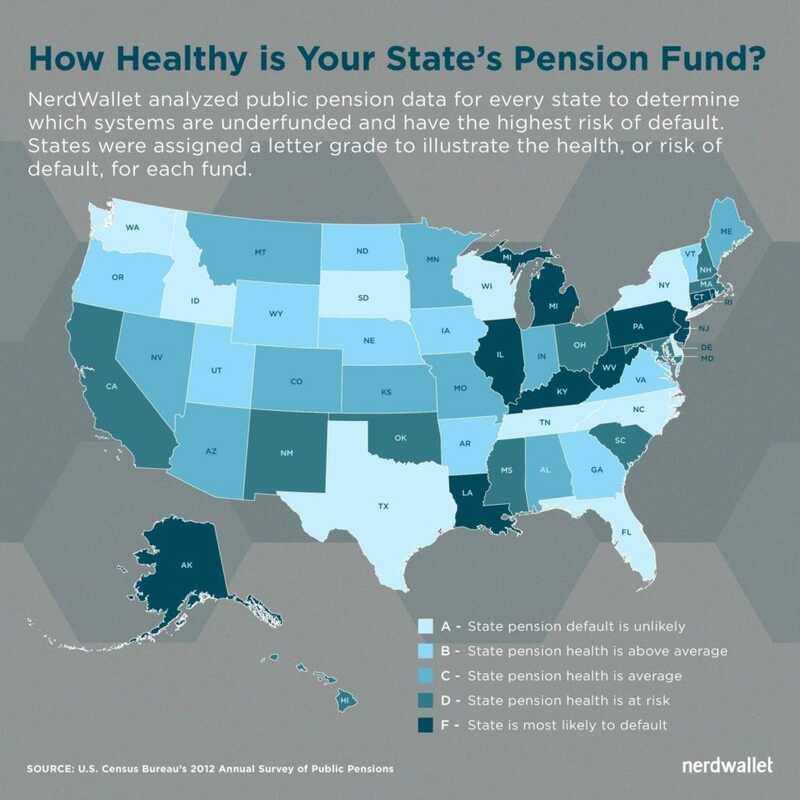 According to 2012 U.S. Census Bureau data analyzed by NerdWallet, 37 of 50 state pension plans were underfunded. Several states were in the “likely to default” category (see map below, source). Six years after this was published, almost every single state in the Union has an “unbalanced budget due to runaway pension costs” according to Forbes. 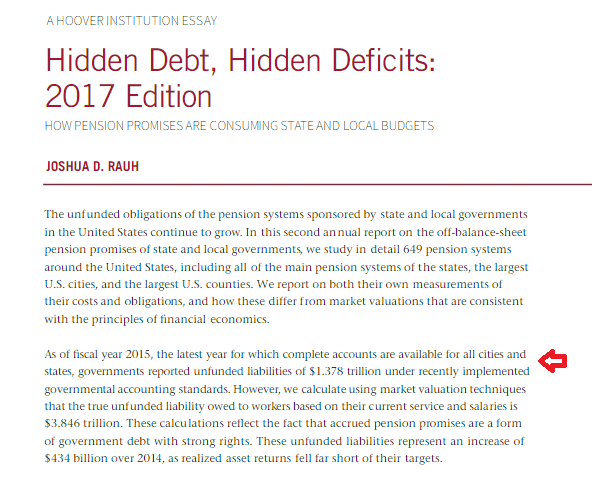 And upon reviewing the 2017 Edition of the Hoover Hidden Debt, Hidden Deficits report, it looks like States aren’t exactly reporting the full truth. In fact, it looks like outdated State pension plans are eating up the tax revenue of their respective state budgets faster than a pie-eating champion gobbling pies in grandma’s kitchen. up footing the tax bill to aid in recovery. The money has to come from somewhere, but that doesn’t mean you can’t put yours in the right places. As the outdated pension system implodes, it might be a good idea to diversify some of your retirement fund into a Precious Metals IRA. By doing so, you may be able to avoid the headaches caused by the next “Harvey” in your own State.